Oudtshoorn Accommodation in the Klein Karoo at the world wide renown Cango Caves. Or just wanting to enjoy the vast open landscapes and ostriches. Visiting this popular town will be a highlight you will remember for always. 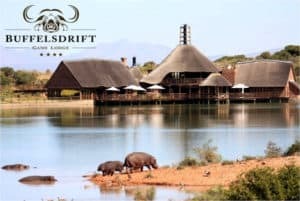 Search Oudsthoorn accommodation here or download the GR&KK App. We welcome you to our 150 year old sandstone home in the centre of the historical town of Oudtshoorn. • Aircon & TV in rooms……. Built in 1905 by Sidney Herbert Adley, during the “Ostrich feather boom period” (1886 to 1914) this magnificent sandstone Victorian mansion is situated on an acre of land in a quiet up market residential area with in walking distance from the town center and Oudtshoorn’s famous restaurants. Boulders Lodge & Spa is a 4 Star Hotel where you can come home to a relaxing atmosphere and where service and quality is our priority. The original farm house on the Grootkraal Farm, 28km outside Oudtshoorn by the world-renowned Cango Caves, which was once part of the farm. The farm house has been painstakingly redone to today’s standard. Come and enjoy a relaxing farm lifestyle weekend or night. We offer a self-catering unit for up to 8 people. 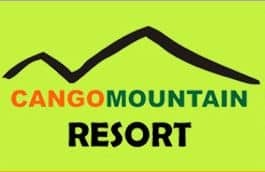 The Cango Mountain Resort is your breakaway to the mountains. Conveniently situated only 24 kilometers from Oudtshoorn, and a mere 10 kilometers from the famous Cango Caves, Cango Mountain Resort offers you an endowing resort with a peaceful and comfortable ambiance. Chandelier is easily accessible, next to the N12 (Route 62) and is an ideal base from which to explore the Garden Route or the Klein Karoo and Route 62. The lodge is located 7 km from Oudtshoorn and 48 km from George Airport. A unique feature of Chandelier is our luxury, en-suite, tented chalet accommodation, offering a unique bush experience. Activities include: Game drives, Ostrich Tour and Riding, Cultural Trails and Sundowner Bush Dinner. Cul-de Sac is situated in the heart of the Klein Karoo, Oudtshoorn. Oudtshoorn is nested between the breathtaking Swartberg & Outeniqua mountains, offering an unforgettable stay. Cul-de Sac ensures relaxation in a peaceful environment situated within walking distance from town. 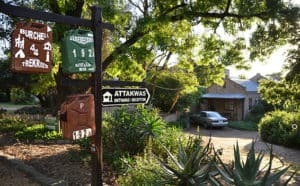 Our location is ideal for people exploring the Klein Karoo. 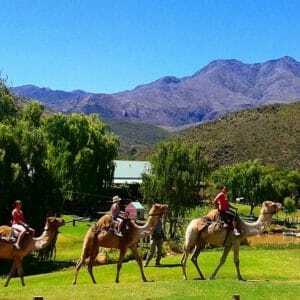 De Hoek Mountain Resort, tucked away in the Swartberg Mountains, is situated 35km from Oudtshoorn, on the road to Prince Albert and 5km from the Cango Caves, which is a place of natural beauty and also a national monument. The resort is a bird-watchers and nature lovers paradise and is home to the Black Eagle. Large level grassed Caravan and Camping sites with clean ablution blocks, offers the caravanner or camper a comfortable and scenic setting from which to explore the area. Our very well equipped chalets have that rustic feel about them, and are fully furnished to cater for up to 6 persons. Each chalet has its own braai facilities as well as parking directly outside. 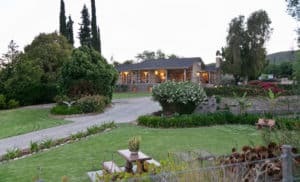 Surrounded by a variety of Oudtshoorn Attractions like ostrich farms, longest wine route in the world (R 62), Cango caves, Wildlife ranch, waterfalls and museums, makes this the ideal destination for a visit or a stay over in the Klein Karoo. This owner managed, 2000 hectare working farm, is malaria free and child friendly. 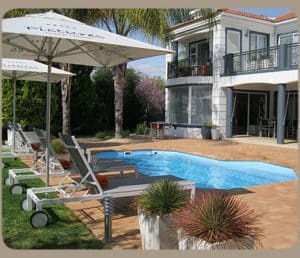 A luxury guest house situated in the heart of the Cango Valley near Oudtshoorn. We offer en-suite rooms with beautiful views of the Schoemanshoek Valley and the spectacular Swartberg Mountain Range. Within walking distance from the Cango Ostrich Farm and Karusa Winery. And 15 km from the Cango Wildlife Range, Cango Caves, Rust and Vrede Waterfall and the Swartberg Pass. We invite you to stay at Die Fonteine, so you can treasure your visit to the Klein Karoo forever…. Offers luxury apartments equipped to cater for the discerning holiday maker or businessman. Spacious self-catering apartment in a quiet suburb on the edge of the town. Only 3 km from the Oudtshoorn City Centre. 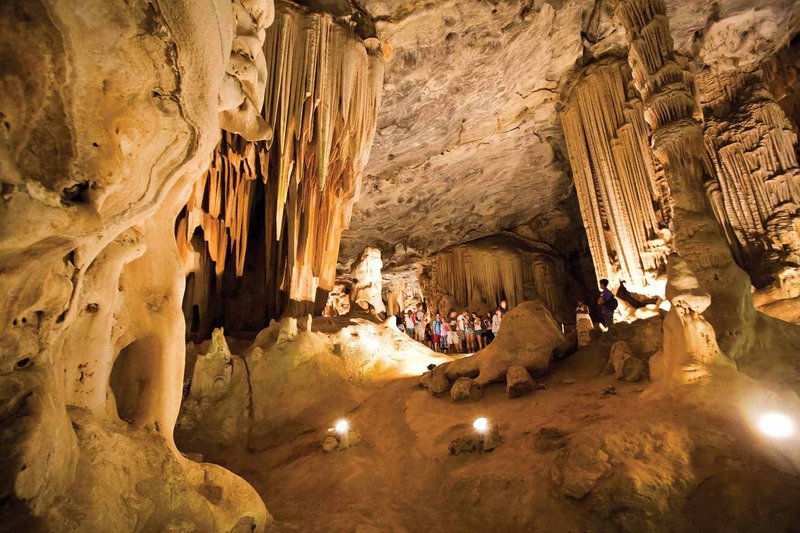 In the Little Karoo, famous for its ostriches as well as the Cango Caves only a stone’s throw away. With a splendid view of the Swartberg mountain range. Where one can enjoy the typical, unique beauty of the landscape and vegetation of the Karoo. Single Rate: Enquire about rate. 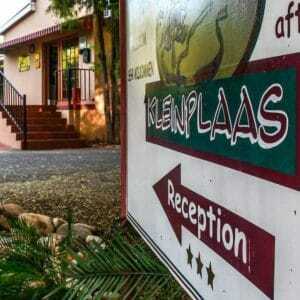 Kleinplaas Holiday Resort, situated in Oudtshoorn, Western Cape, South Africa, offers affordable accommodation to individuals and groups visiting Oudtshoorn. We offer various accommodation options such as 3 star self catering, bed & breakfast and 4 star caravan stands and camping. Oppi dam is located 14km outside of Oudtshoorn on the road to the Cango Caves in the picturesque Schoemanshoek valley. Two self catering chalets Bedding and towels provided. 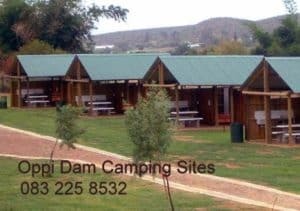 Sleep 4 and Oppi dam is an upmarket, affordable camp site situated en-route to the Cango Caves. Each site has its own private ablusion facility. There is also camping sites for tents with shared ablusion facilities. The quiet surroundings are ideal for family get-aways. If you love nature – this is the place to be! Circa 1857, in Spies family for 6 generations. A working farm in the peaceful Schoemanshoek Valley, 15km from Oudtshoorn en route Cango Caves, R328. Bird-life. Offer 12 en suites, private entrances from garden. Thoughtful touches, Coffee Shop on premises open 6 days serving light lunches, candlelit dinners, pool, laundry, car wash, TV. MNet, air-con. Log fire in winter. Complimentary wireless internet. Stylish and peaceful, Pictures is situated in a residential area of Oudtshoorn close to the town center & major tourist attractions. With its warm and comfortable environment, you will feel right at home.Our guest house offers three individually decorated bedrooms, all with a ‘pictures’ theme, air-conditioning, en-suite bathroom and private balcony. 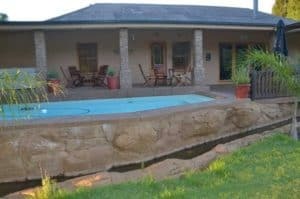 Redstone Hills Guest farm near Calitzdorp is nestled within what must be one of the most spectacular geological landscapes in the whole South Africa. The striking reddish-hued koppies which surrounds the farm are constructed from iron-rich conglomerates which were deposited by turbulent rivers in the Cretaceous Period, some 130 millions years ago. In a sense these blood-red rocks reflect the painful and energetic birth of the new African continent. Come experience genuine Karoo hospitality, spectacular view and breathtaking tranquility at our guest farm. Our cottages are 120 m apart with spectacular views of the river, the red stone hills and the vineyards. In our cottages are fully equipped kitchens, television with satellite and fireplaces…. 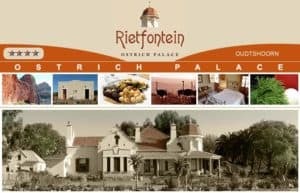 Welcome to Rietfontein Ostrich Palace, a working ostrich farm situated between Calitzdorp. (Port Capital of the World) – & Oudtshoorn (Ostrich Capital of the world) on the Route 62 (longest wine route in South Africa). 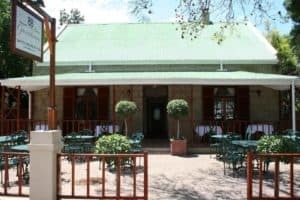 It is the eldest working ostrich farm in the Cape Colony, established by the Potgieter family in 1897 and boasts with one of the most intriguing ostrich palaces, dating back to the early 1900’s (the feather boom era). 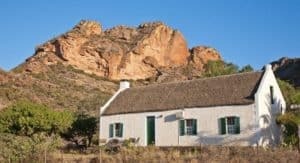 This warm and inviting restored farmhouse nestles at the foot of the Swartberg Mountain on the world’s first established ostrich farm in the Cape Colony, Rietfontein, which dates from the nineteenth century. (Ostrich farming was commenced in 1879). Also situated between the “Ostrich Capital” (Oudtshoorn) and “Port Capital” (Calitzdorp). At Rietfontein you will find all the comforts of home, with relax surroundings to make your stay a perfect pleasure. Come and enjoy true Klein Karoo, country hospitality, excellent local cuisine, with friendly ostriches and employees on your doorstep. The four star Turnberry Boutique Hotel is situated in the centre of the picturesque Klein Karoo town of Oudtshoorn. A warm welcome, awaits visitors to this tiny piece of Scotland set in the heart of the Klein Karoo. Relax in the comfort of one of the 22 well appointed air-conditioned bedrooms (each with satellite television, safe, telephone, a coffee station and a mini bar), all with en-suite bathrooms, and cosy double beds fitted with crisp white linen. Each room also has wireless Internet connection. Activities: Camel rides, foefie slide (Zip line), bumper boats, farm animals to feed, mini golf, quad cars. 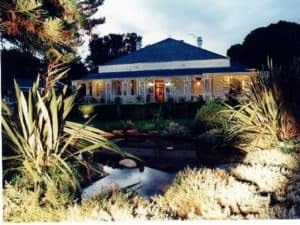 The fully licensed restaurant is well known for nice home cooked meals and freshly baked products, and offers comfortable B&B or self-catering accommodation in beautiful surroundings.